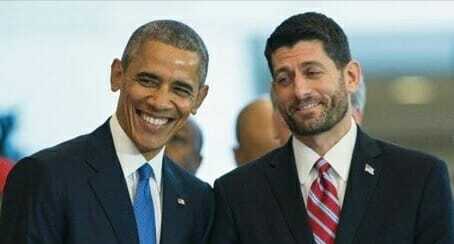 Paul Ryan lashed out at Barack Obama’s latest executive action on gun control during an interview on Monday. But the Republican Speaker will likely fund the program the minute he gets a chance. “We should also better enforce the laws we have on the books now to keep guns out of the hands of violent criminals. Instead, the president is again targeting law-abiding citizens, intruding further into innocent Americans’ lives. At a time when the country wants the president to lead the fight against radical Islamic terror, this is yet another attempt to divide and distract from his failed policies,” Ryan said in a statement. As CNSNews.com previously reported, Obama announced last week in his first weekly address of 2016 that he will be acting unilaterally on gun control legislation, because Congress has not yet acted on it.